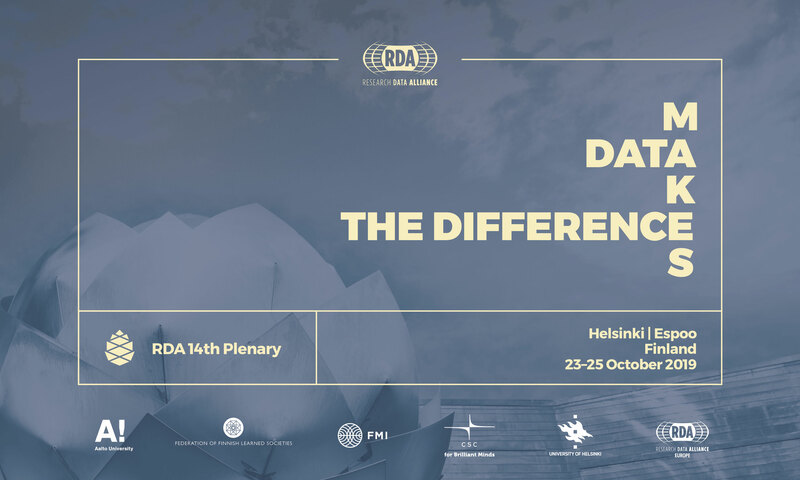 RDA 14th Plenary in Finland brings together data experts in research, industry and policy-making from all around the world and from all disciplines under the theme Data Makes the Difference. engaging citizens in the creation of knowledge and betterment of society. Data has enormous and diverse potential to change how we work, make decisions and empower citizens. The 14th RDA plenary will explore the extensive ways data can make the difference by bringing together diverse group of experts from all around the globe. During the plenary we will share and learn together and advance our abilities to use data in making a positive impact in the world to tackle its complex challenges. The Plenary is co-hosted by Research Data Alliance Finland, CSC - IT Centre for Science, Aalto University, University of Helsinki, Federation of Finnish Learned Societies, and Finnish Meteorological Institute. Heidi Lane, CSC - IT Center for Science Ltd.
Irina Kupiainen, CSC - IT Center for Science Ltd. Per Öster, CSC - IT Center for Science Ltd.